Modern ceiling light Acapulco II . 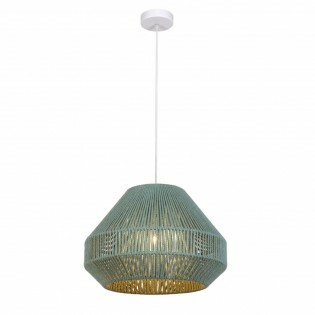 It is made with a metal structure and a cotton string available in green or beige. The stringing creates a unique lighting effect by letting light through the fibres. It is an ideal lighting option for rooms such as living rooms, dining rooms, bedrooms and large spaces. Dimensions: Height 30-130 cm. Diameter 29-40 cm. 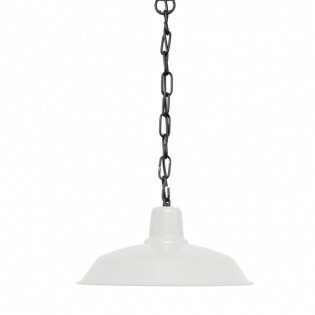 Pendant light from the Arles collection available in two sizes. The structure of vertical lines let the light pass through creating a very beautiful lighting effect. This ceiling lamp is ideal for large rooms in your home such as bedrooms, dining rooms and living rooms.DimensionsSmall: Height: 39 cm. Diameter 25 cm.Large: Height: 35 cm. Diameter 55 cm. Retro style Astoria ceiling lamp. The lampshade is metallic and can be individually customized in white, rust or black finish. Its design makes it ideal to combine with a filament bulb, enhancing its vintage style. 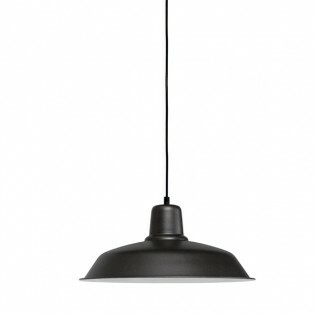 A pendant lamp ideal for lighting dining rooms, lounges and restaurants. Dimensions: Height 26 cm. Diameter 47,5 cm. 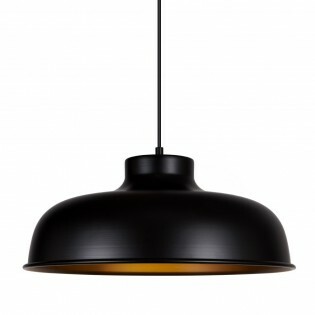 Pendant light Chelsea vintage style with black or brown structure to choose the one you like best. Ideal to give a fresh touch to your home lighting. Cables available in different surface finishes (see image). Contact us for more information. Ceiling light from the collection Creta with chrome structure and lampshade designed in oval shape available in three finishes: beech, oak or white wood. 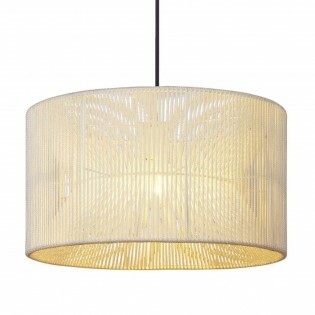 Perfect for lighting your dining room or modern style living room. Dimmable outdoor LED ceiling lamp Acapulco. Perfect for easy placement in outdoor areas such as a porch, arbor, terrace or hooked into a pergola. Installation is simple as there is no wiring, the LED lighting is powered by a rechargeable battery. It includes remote control for a comfortable ignition. Dimensions: Height 24-124 cm. Diameter 44 cm. 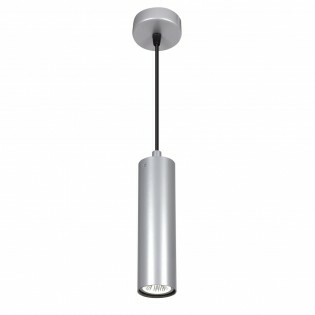 Kea modern ceiling light available in white, grey and black. 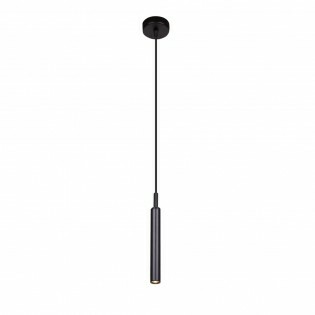 The cable is made of cotton and the spotlight has a minimalist tubular design that makes it ideal for lighting modern rooms such as living rooms, kitchens and dining rooms.Dimensions: Height 28 cm. Diameter 5,5 cm. 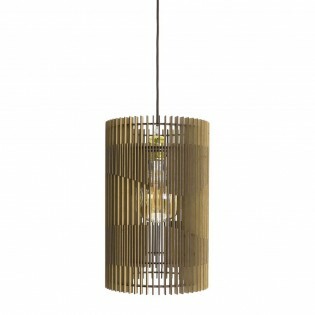 Pendant light Laia modern style with beechwood or white PVC lampshade, two options to choose from. It features flower-shaped design to provide fantastic general lighting for dining rooms, living rooms or bedrooms. Air modern ceiling light with LED lighting. It is made of aluminum and supported by two steel cables adjustable in height to suit your needs. Its simple lines make it perfect for placing on study tables, office environments and various commercial premises.Dimensions:Small: Height 100 cm. Length 80 cm.Large: Height 100 cm. Length 120 cm. 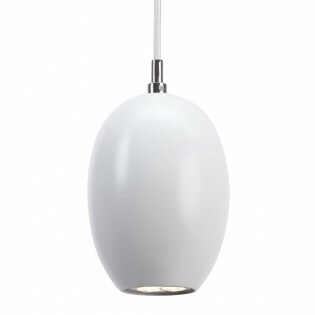 Pendant light from the collection Paris with a trapeze design tulip finished in white. A perfect design to lighting the dining room table.lampshade available in cotton, beige sacking, brown sacking, osaka or chintz (see image) Contact us for these materials. Ceiling light in rustic style with retro-vintage airs, made in metal structure finished in oxide color. Ideal for any old style environment - rustic like mountain houses, hotels, charming houses, restaurants or bars. Combining two "Proas" you will obtain a perfect result. Dimensions: Diameter18 cm. Height: 100 cm. 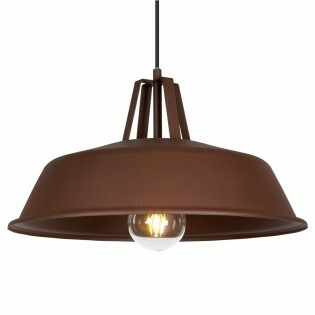 Ceiling light retro-vintage style, structure made in metallic finished in copper colour. Ideal for any old style environment - rustic like mountain houses, hotels, charming houses, restaurants or retro bars. Combining two or more"Proas" we will achieve a perfect result.Dimensions: Diameter18 cm. Height: 100 cm. Capuchin ceiling lamp with black screen and gold or white interior. Both options create a contrast with the perfect exterior to give a decorative touch to any room. Your industrial air will be perfect in lounges, dining rooms, kitchens and dormitories as well as in bars, restaurants or commercial premises. Dimensions: Height 100 cm. Diameter 20 cm. Pendant retro-vintage style light, with decorative pendant chain and lacquered aluminium lampshade available in several different colours: black (red interior), cream, rusty brown, green and yellow (white interior). 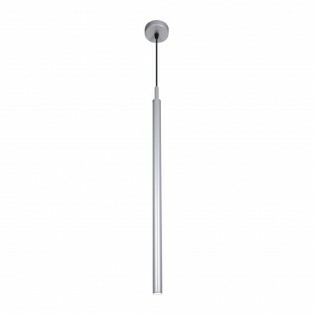 An ideal light for lighting in bars, restaurants, shops or even modern kitchens. Diameter 35 cm o 40 cm. Height 100 cm. 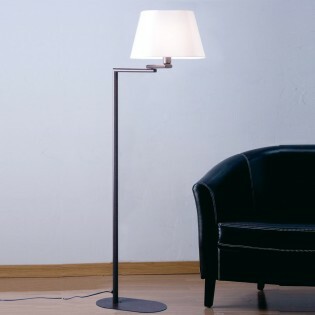 Lamp collection Oxford with black structure and extendable arm to adjust the length as you prefer. It is held by means of tweezers so that you can easily place it where you need it.Cable available in other finishes (see picture). Ask for more information.Dimensions: Length 20 - 55 cm. Width 16 cm. Floor lamp Agripina of rusticstylewith beige fabric lampshade and main structure available in two finishes: brown or grey to choose the one you prefer.lampshade available in various materials (see image). Contact us for more information.Dimensions: Height 155 cm. Diameter 30 cm. Living room light height-adjustable with a very characteristic modern style. It has structure finished in black and beige lampshade.lampshade available in the following materials: cotton, beige sacking, brown sacking, pleated, cotonet o chintz. Contact us for more information.Dimensions: Height 160 - 190 cm. Length 190 cm. Floor lamp from the Arles collection with rust-coloured structure. 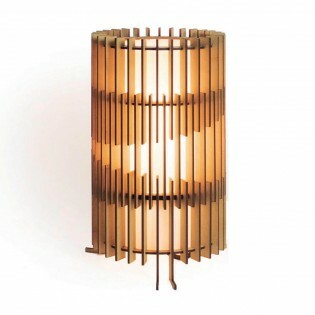 The design of the lampshade with small vertical slats will become the center of attention. In addition, installing a filament bulb will complete its rustic design. This lamp is mainly targeted to rustic rooms such as lounges and dining rooms. Dimensions: Height: 155 cm. Diameter: 25 cm. 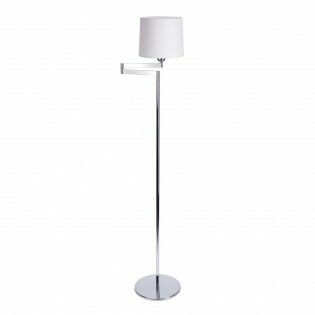 Floor lamp "Capuchina" Modern style. Made with black structure and two adjustable arms. Ideal for placing in bedrooms, lounges or living rooms. Consult us for rust- and white-brown finishes. Dimensions: Height: 140 cm. Diameter Lampshade: 16 cm. Diameter pie: 25 cm. LONDON lamp retro-vintage style with a crossbow-shaped arm. Floor lamp finished in rust brown and Lampshade beige sacking, brown sacking (available in other colours). Adjustable height and position. Perfect for lighting living rooms, reading areas or rustic style bedrooms. Dimensions: Height 150 cm. Diameter Lampshade 30 cm. 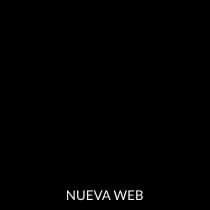 Ballesta 35-70 cm. LONDON CROSS it is elegant floor lamp in rusty brown and beige sacking lampshade finish, brown sacking available in two finishes (beige and brown). Adjustable in height and position, making it perfect for lighting rustic or retro-vintage style living rooms, reading areas or bedrooms. Dimensions: Height 150 cm. Length 35,7 cm. Diameter Lampshade 30 cm. VENECIA it is Floor lamp with a very elegant classic style design finished in nickel color and beige sacking lampshade, brown sacking beige color. Light adjustable in height and position, perfect to be able to focus the lighting to the desired point in halls. Dimensions: Height 145 cm. Length 65 cm. Lampshade cone: 40 x 18 x 20 cm. 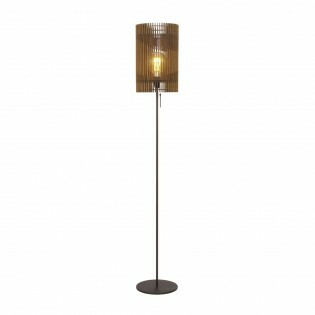 Floor lamp Hotel Rustic with nickel finished structure in modern style for dining room, living room, bedroom, etc. Highlights the design of the lampshade, with elliptical base.lampshade available in various formats (see image). Ask for more information.Dimensions: Height 150 cm. 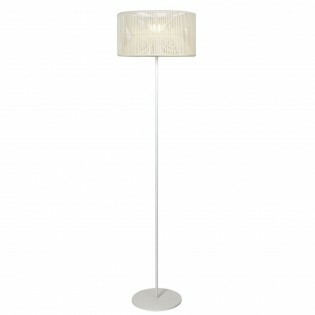 Floor lamp Indiana with double lampshade made of beige organza and main structure with white finish. Ideal for modern environments. 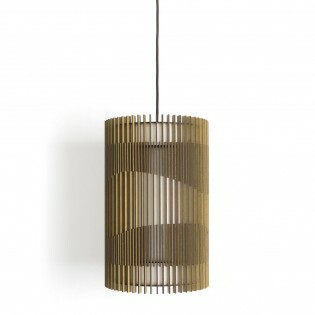 lampshade available in other finishes (see image). Ask for more information.Dimensions: Height 150 cm. 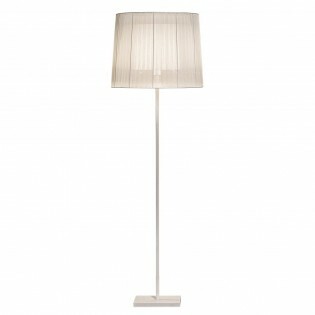 Floor lamp Jana with black frame and lampshade available for choosing between white or pink. It is a modern style design perfect for lighting the living room, bedroom etc.Lampshade and cable available in different surfaces (see image). Ask for more information. Dimensions: Height 160 cm.